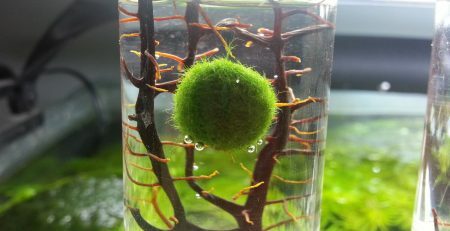 Commonly called Marimo moss balls, aegagropila linnaei is a species of green algae that grows in a spherical shape. 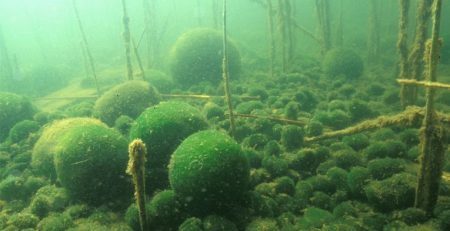 Marino moss balls are found in certain cold, freshwater lakes in the Northern Hemisphere. Their plump silhouettes are the result of wave action compressing the algal filaments into ball form, and the plants float freely on the currents, untethered to rocks or lake bottoms. 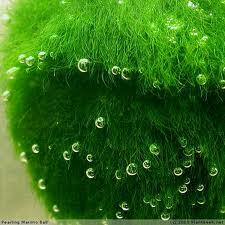 Their filaments appear velvety and soft like moss, with a fuzzy texture that collectors find adorable. 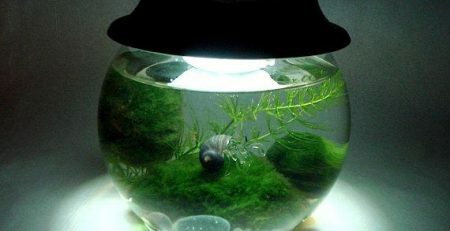 The cute factor leads some enthusiasts to keep multiple Marimo moss balls as pets, especially in Japan, where wild Marimo balls are considered a national treasure. Marimo moss balls aren’t picky about their environment. The plants thrive under normal household lighting, and even prefer ambient light to high-intensity bulbs. 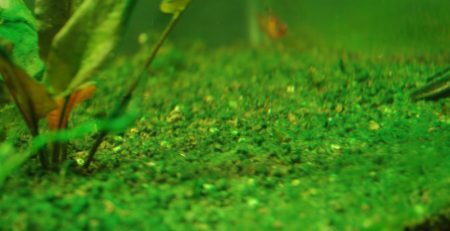 They grow best in aquariums with a water temperature lower than 78° F, regular filtration and plenty of oxygen; they will also grow in a bowl of water without the aquarium setup. 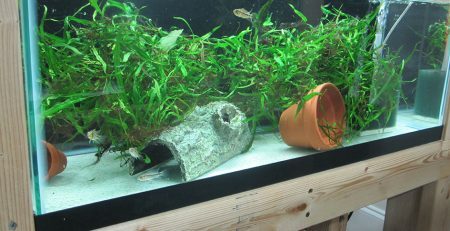 Frequent water changes will ensure that the plants’ lush green coats remain free of sediment and aquarium detritus. If the Marimo balls get mucky, gently rinse them under cold running water to remove the gunk. 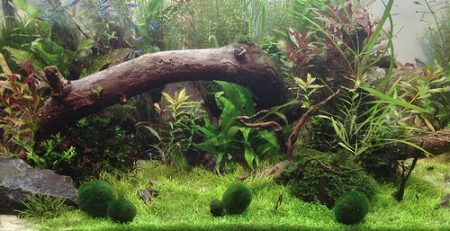 Managing a large collection requires refreshing the water once a week and occasionally turning the Marimo moss balls, mimicking wave action in their natural habitat, so that all the mossy surfaces receive adequate light. 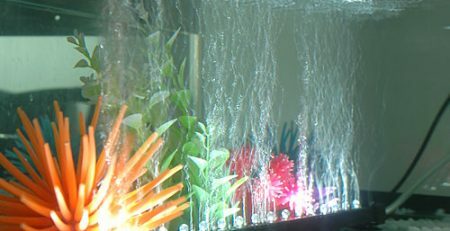 To ‘fertilize’ the plants, add some companions, such as goldfish or Siamese fighting fish, whose waste products provide nutrients. 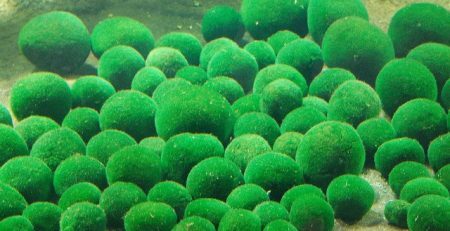 Marimo balls are so easy to propagate that many collectors proudly display large collections of the furry globes. 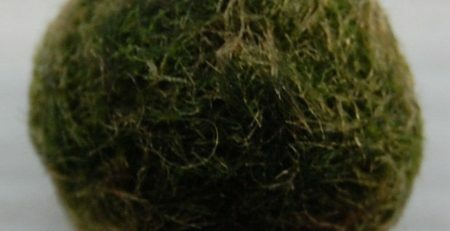 Because artificially grown Marimo moss balls do not have an orderly interior structure, smaller pieces can be split off from the “mother” Marimo to create new balls. The insides contain dormant chloroplasts—cell structures that conduct photosynthesis—which soon begin converting light into new cells. The smaller balls should be cultivated in the same cool, well-filtered water with adequate light. Stirring the water vigorously from time to time will help the new Marimo moss balls attain their spherical shape.